Hello and Welcome to our preview for Rangpur Riders vs Comilla Victorians match. 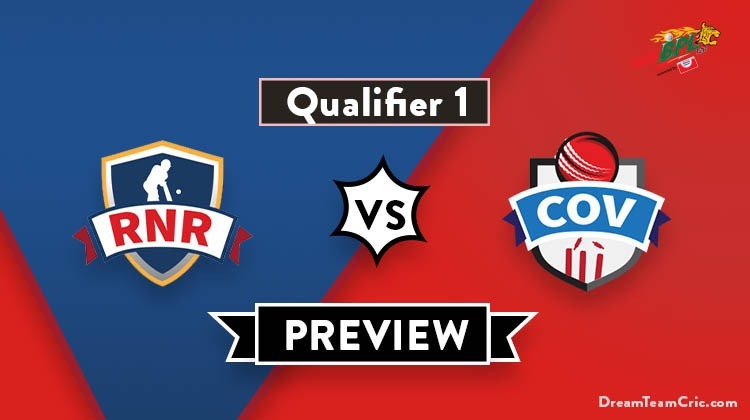 We are covering RNR vs COV Dream 11 Team Prediction, Preview and Probable Playing XI for the Bangladesh Premier League 2019 match. The match is to be played at Shere Bangla National Stadium. Rangpur Riders defeated Comilla Victorians by 9 wickets in their last encounter. Bowling first, Riders bowled out Victorians on just 72 runs. Bopara took three scalps while Mortaza and Nahidul Islam took two wickets each. Chris Gayle and AB de Villiers scored 35* and 34* respectively to successfully chase the target. Rangpur Riders have won six consecutive encounters and will hope to continue the momentum while Comilla Victorians will hope to bounce back and defeat Riders and enter final of BPL 2019. A good encounter can be expected between both teams in tomorrow’s crucial qualifier. RNR vs COV, Qualifier 1, Bangladesh Premier League 2019. Mashrafe Mortaza(c), Rilee Rossouw, Nazmul Islam, Chris Gayle, M Mithun, Fardeen Hasan, Shafiul Islam, Sheldon Cottrell, Sohag Gazi, Farhad Reza, Mehedi Maruf, Ravi Bopara, Nahidul Islam, Abul Hasan, Benny Howell, Nadif Chowdhury, Sean Williams. Alex Hales is ruled out from the remainder of season due to injury. AB de Villiers has also left from Bangladesh and will not play further. Benny Howell will most probably take the place of AB de Villiers. Young spinner M Abedin Afridi impressed everyone but can make way for Nazmul Islam. Shafiul Islam also had a good tournament and can return in the playing XI if fit as he did not complete hsi bowling quota in second last match. C Gayle and M Maruf will open the innings. Rilee Rossouw, M Mithun and Ravi Bopara will follow them. Nahidul Islam, Farhad Reza and Mashrafe Mortaza will do the late hitting duty. Mashrafe Mortaza, Farhad Reza and Shahidul Islam will be the key pacers along with Ravi Bopara while Nahidul Islam will lead the spin attack. C Gayle can support him. Sanjit Saha, Liam Dawson, Waqar Salamkheil and Ziaur Rahman are likely to make way for Evin Lewis, Shahid Afridi, Mahedi Hasan and Mohammad Saifuddin. Imrul Kayes got injured in last match but is likely to get fit for crucial semi-final. Evin Lewis is also suffering injury concerns and if unfit then Liam Dawson can play. Wahab Riaz and Mohammad Saifuddin will lead the pace attack along with Thisara Perera while Shahid Afridi and Mahedi Hasan will be the key spinners. 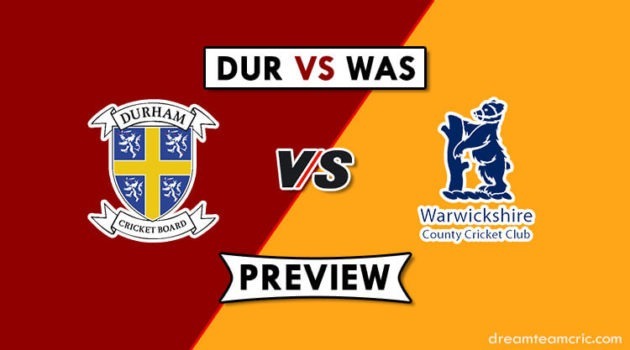 Both teams will play their best playing XI. Chris Gayle, Mehedi Maruf, Rilee Rossouw, Mohammad Mithun (wk), Ravi Bopara, Benny Howell, Nahidul Islam, Mashrafe Mortaza (c), Farhad Reza, Nazmul Islam/M Abedin Afridi, Shahidul Islam. Tamim Iqbal, Evin Lewis/L Dawson, Anamul Haque (wk), Imrul Kayes (c), Shamsur Rahman, Thisara Perera, Shahid Afridi, Mohammad Saifuddin, Wahab Riaz, Mahedi Hasan, Abu Hider Rony. 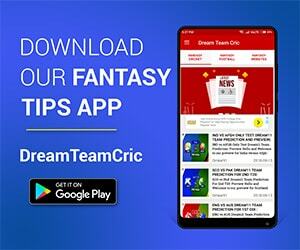 If you liked RNR vs COV Dream 11 prediction, then follow us on Twitter for Latest Cricket News and Grand League Teams.